Product #6222 | SKU LBL-466 | 0.0 (no ratings yet) Thanks for your rating! 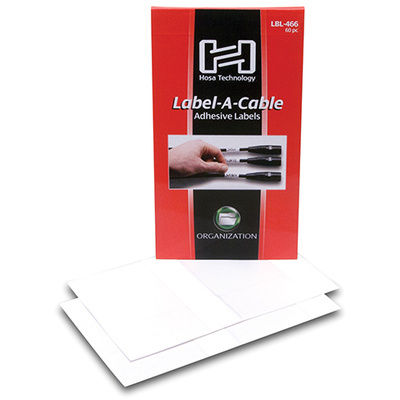 Hosa Cable Labels (60 pieces). The LBL466 from Hosa contains 60 peel and stick vinyl labels that wrap easily around a cable to avoid confusion.